Jason O Mahony » Blog Archive » What if Ireland hadn’t been partitioned in 1921? Instead, we’d have had a civil war where a Free State Army of both Catholics and Protestants fights the anti-treaty forces. Would the anti-treaty side be tempted to play the sectarian card? Hard to say. 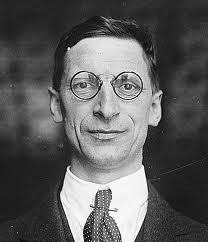 Certainly, De Valera, despite his strong Catholicism, was never notably anti-Protestant. But perhaps others would have been. Either way, the war would have gone the same way. The pro-treaty side, now assisted by the formers unionists in the north, would have delivered a clear defeat upon the rebels. The question then is what sort of Ireland would have taken shape? It’s not unreasonable to assume that northern Protestants would have sought some form of home rule for Ulster. Certainly, if they had fought in the civil war it’s hard to imagine the new Dublin government refusing them, especially as a substantial number of Protestants would now sit in both the Dail and Senate, possibly in some sort of Protestant Rights Party, and almost certainly in the Cabinet and in senior civil service positions. Nor would Dublin forget that the military forces in Ulster that helped put down the anti-treaty forces would almost certainly still exist in the shadows if only as informal but well drilled ex-service militias back from the Great War, or part of a new well-equipped RUC. The fear of the Dublin government would be for the rights of Catholics under an Ulster home rule government, and that would mean one of two directions. Either both Protestants and Catholics would agree to work together to ensure that the new Irish Free State was genuinely pluralist, or both Dublin and Belfast would agree to turn a blind eye to discrimination against the minority in each jurisdiction. Ironically, it’s not inconceivable that there’d be agreement amongst both hardliners in both religions to the latter. Some Protestants could live with sacrificing southern Protestants to allow for a Protestant Parliament for A Protestant People, and many southern Catholics would be happy to settle for a confessional state in the south. Of course, such an direction could have led to some bizarre outcomes. It’s not impossible that a Stormont operating within a Free State might have wished to exclude Donegal, Cavan and Monaghan, all with Catholic majorities, to allow for a permanent Protestant majority. Would that have been acceptable to Dublin? There’s also the fact that under such a situation the civil rights marches of the 1960s would still have occurred, possibly with paramilitary action to abolish Stormont or to prompt action by the national government in the same way the US federal government had to intervene in southern states to uphold civil rights. And let’s not forget, northern Catholics would still be sending TDs to the Dail, elected under PR, agitating for civil liberties. But would Dublin have risked it, sending troops into Protestant Ulster and risking a second civil war? That’s all assuming a negative approach to Ulster. Supposing, instead, moderate opinion had prevailed across the divide. Supposing the Cumann na nGaedheal government had remained in power propped up by a Protestant party, and both had maintained a pluralist approach. Big employers in the north, possibly in return for government subsidies or contracts, could have started to employ Catholics in larger numbers, which could have skewed the Dublin government’s bias away from agriculture. What would have happened to Fianna Fail in such a scenario? Certainly, the party would have found it much harder to be the overwhelmingly dominant party of the time given the large number of Protestant TDs in the Dail. But having said, FF would probably have become the dominant nationalist party in the North in both Stormont and its Dail delegation, with natural CnG votes ending up with the Protestant party. If Fianna Fail did take power sometime in the 1930s, probably only narrowly or with the support of smaller parties (as in 1932), De Valera would have found himself facing quite a challenge, with nearly a quarter of the country seeing the ties to Britain as a vital safeguard to their way of life. Perhaps even something to take up arms over. The same would apply to a new constitution elevating the place of the Catholic Church. Could he win a referendum? Possibly. But could it trigger a violent response from Stormont? Also a possibility. On the one hand, it’s hard to imagine De Valera taking such a risk. On the other hand, he had fought and lost a civil war over many of the very issues at stake. Could he instead have carefully tread a middle path? It’s hard to see him getting special mention of the Catholic Church into the constitution, the very sort of thing that would terrify northern Protestants. Same with the bar on divorce (although many Protestants were just as conservative on that issue as Catholics). But could he have, for example, made the oath optional, with an alternate oath pledging loyalty to the constitution? Or perhaps devolved the issue of marital law to Stormont? Or inserted an aspiration to a republic, with the consent of Stormont? It’s unlikely that he’d have been able to abolish the Free State Senate, the Governor General or titles either. In sort, Bunreacht na hEireann would probably never have come into being. What would Ireland look like today? New Zealand? Australia? Or Scotland? Probably still in the Commonwealth, still in the EU, using Sterling, still neutral in World War II but slightly more neutral in favour of the allies with a blind eye turned to those who went to fight. If Dev had still been President of the Executive Council (No Taoiseach either?) in 1945 he probably wouldn’t have sent condolences on Herr Hitler’s passing, if only not to alienate transfers in northern constituencies, and we certainly wouldn’t have airbrushed out all those Irish who fought in both world wars. Would the country have ended up more liberal, due to the fact it was less Catholic? Almost certainly not. More pluralist maybe. The Governor General would nearly always be Protestant if only because that sort of thing would probably matter to former unionists, as long as he (knowing Irish unionists, it would almost certainly always be a he) didn’t try a Gough Whitlam. But let us not forget that northern Protestantism is almost unique in Europe in not having a streak of liberal secular thinking. Indeed, today’s DUP, the voice of mainstream northern Protestantism, is in many ways less liberal than the current Pope. But it would almost certainly have been slightly easier to stand up to the Catholic Church, knowing that there was a large section of the Irish people who did not automatically bend the knee towards the crozier, and that could only have been a good thing. in Britain-probably less General elections,more Labour Government.